Montrose Saloon on Chicago’s north side will be the perfect place tomorrow night to enjoy high energy rock and wish some local musicians a happy birthday. Initially, the bash was planned for singer-guitarist Ellis Clark, but it’s been extended to include Ary Paloma Jeebie and Chloe F. Orwell. 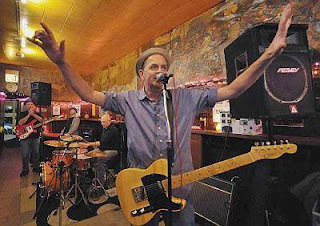 Clark currently leads the group Big Parade, and his storied past includes being part of Epicycle—one of Chicago’s first punk bands—founding Social Act, and being a member of The Handcuffs. Ary Paloma Jeebie is the front person for The Amazing Heebie Jeebies garage rock/rockabilly band; and Chloe F. Orwell is the lead vocalist-guitarist for indie rockers The Handcuffs. Facebook posts have hinted at a Ary-Chloe duet, and it’s likely guest musicians will be involved. 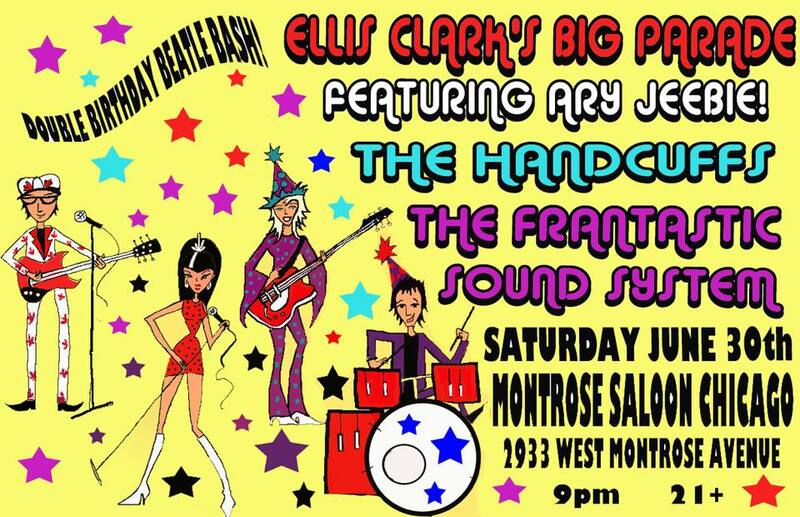 The Frantastic Sound System will kick off the evening at 9:00 p.m. 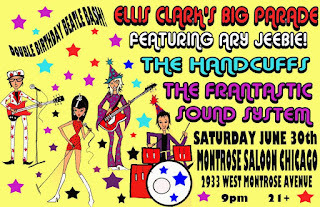 The Montrose Saloon is located at 2933 W. Montrose Avenue, admission is a mere $5. Singer-guitarist Phil Angotti also recently had a birthday, but he and Casey McDonough will be performing a show at Reclaimed Bar tomorrow night. Chicago’s long-running ska band Heavy Manners and DJ Chuck Wren will be the opening acts when The English Beat plays at Metro next Friday, July 6. I was happy to see an email from Amazon today stating my copy of Graham Nash’s two-CD set of demos Over The Years has shipped and will land on my porch this coming Tuesday. It features demos of classic Nash solo and and CSNY material like “Immigration Man,” “Teach Your Children,” “Wind On The Water,” “I Used To Be A King,” and “Chicago/We Can Change The World.” The oldest demo is a version of “Marrakesh Express” The Hollies rejected when Nash pitched it to them in 1968. YippieFest, the love child of the once-annual Abbie Hoffman Died For Our Sins Theatre Festival at Mary-Arrchie Theatre, will be back for a second round on the weekend of August 17 – 19 at Prop Thtr. Last year’s bash was organized by Famous In The Future comedy group founder Frank Carr, who picked up a few tips about how to run this sort of event while performing at every single Abbie Fest. He’s back at the helm this year. Any theatre groups, performance artists, or musicians interested in being part of Yippie Fest 2018 can contact the official website. New albums came out today from Florence + The Machine (High As Hope) and Ray Davies (Our Country: Americana II). Actress Karen Gillan has been having a splendid career since leaving Doctor Who, landing roles in Guardians Of The Galaxy, Jumanji: Welcome To The Jungle, and Avengers: Infinity Wars, as well as directing the indie film Tupperware Party. She’s also among the women featured in the new Feminists Don’t Wear Pink (and other lies): Amazing Women On What The F Word Means To Them book curated by Scarlet Curtis. It’s now available on Amazon UK. The Bangles had original bassist Annette Zilinskas on board when they performed last Sunday at the Arroyo Seco festival in Pasadena. Other acts on the bill included Neil Young, Jack White, and The Pretenders. Next up for The Bangles is the Pershing Square Downtown Stage summer concert on July 14 in Los Angeles. I’d love to see them do an outdoor gig in the Chicago area. The Go-Go’s are also keeping busy on the west coast. They’re performing tonight at Humphreys Concerts By The Bay in San Diego and on Monday, July 2 at The Hollywood Bowl in Los Angeles. Meanwhile, Head Over Heels, a play based on their music, is running on Broadway. Fruits de Mer, the UK indie vinyl label, shared a post on Facebook promoting the very last gig by The Pretty Things. Although the band was never well known in the States, they been active in their native England for 55 years. The Final Bow takes place on December 13 in London at the O2 Arena, with special guests David Gilmour, Van Morrison, and Bill Nighy. Let’s raise a toast to local artist Eddie Carr, who recently passed away. As noted in a Sun-Times article by Maureen O’Donnell, Carr was the genius behind the elaborate Christmas displays at Butch McGuire’s on Division Street for 30 years. He also enjoyed creating portraits of his favorite rock musicians, including Jimi Hendrix and Bob Marley. Monty Python’s Spamalot continues its run at Mercury Theater in Chicago through August 5. Amplified: Chicago Blues, an exhibition honoring Chicago’s blues heritage, is up and running at the Chicago History Museum through August 10, 2019. The exhibition will focus on Howlin Wolf, Little Brother Montgomery, Little Walter, Magic Sam, Big Joe Williams, Willie Dixon, Koko Taylor, and Muddy Waters. at on Clark Street. The Chicago History Museum is located at 1601 N. Clark Street. Admission is $19 for adults. Photo of Jon Auer and from Ken Stringfellow from Ken Stringfellow’s Facebook page. This past Saturday night’s pairing of The Posies and Material Reissue at Park West in Chicago was every bit was rewarding as expected. Both bands excel at high-energy power pop, while maintaining an ability to explore various nuances. The Posies emerged from Seattle’s grunge scene in 1987 but with a more elaborate pop approach built on Hollies style harmonies. The original lineup of Material Issue sprang from Chicago’s vibrant rock scene during our city’s moment in the spotlight back in the early 1990s. The Park West gig also featured a short but potent set by Canadian singer-guitarist Terra Lightfoot. 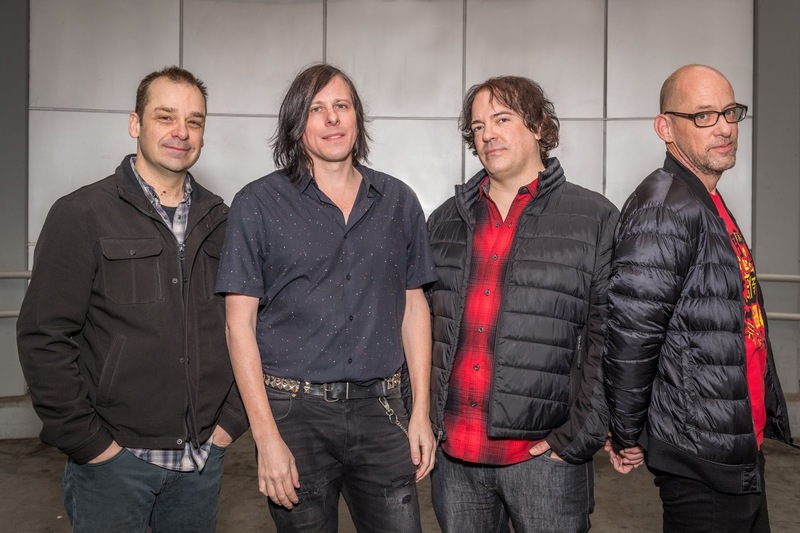 The Posies are in the midst of their 30th Anniversary Tour, so it was no surprise to see them reaching back to gems like “Suddenly Mary” and “Golden Blunders” from their breakout album Dear 23. Singer-guitarist Jon Auer and singer-guitarist Ken Stringfellow were more energized and focused than at their enjoyable but meandering City Winery gig as a duo earlier this year. 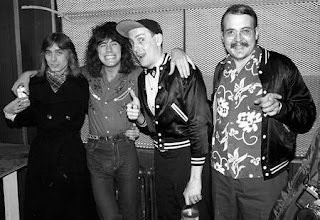 The jokes didn’t start until Stringfellow noted bassist Dave Fox’s checkerboard cap and suit, and claimed The Posies had signed a promotion deal with Purina. Stringfellow tossed in a few other quips but mostly he and Auer bounded back and forth on stage, cutting loose on their guitars and vocals while Fox and drummer Mike Musburger supplied massive support. The Posies kept the crowd revved up with catchy songs like “Dream All Day,” “Flavor Of The Month,” and “Ontario.” Stringfellow dedicated “You’re The Beautiful One” to the late Jim Ellison of Material Issue and Posies bassist Joe Skyward, who passed away in 2016. The hard-edged, high-speed “Grant Hart” from the Amazing Disgrace album honored Husker Du’s recently departed drummer/vocalist. Unfortunately, my usual dependence on public transportation kept me from catching all of The Posies’ set, but I suspect they kept rocking long after I left at the 1-hour mark. Material Reissue, which features singer-guitarist Phil Angotti in Ellison’s role, along with original members bassist Ted Ansani and drummer Mike Zelenko, blasted through highlights from the band’s handful of albums. As in other recent shows, they brought in guitarist Jay O’Rourke and keyboards player Lou Hallwas to help out. After opening with the exuberant “Crazy” from their debut International Pop Overthrow, Material Reissue moved on to irresistible numbers like “Going Through Your Purse,” “Kim The Waitress,” and “Renee Remains The Same.” “Valerie Loves Me,” “Diane,” and “What Girls Want”—hits from the band’s MTV days—sounded as strong as ever. Singer-guitarist Terra Lightfoot, backed by a bassist and drummer, unleashed hard-edged songs with elements of indie rock, Americana, and funk. Her combination of strong, emotive vocals and furious strumming was particularly impressive on “Stars Over Dakota” from her latest album New Mistakes, while another song featured some extended jamming. “No Hurry,” from her Every Time My Mind Runs Wild album, had a hint of country and western. Photo of Dag Juhlin from Facebook. Depending on when you read this, you could still catch Dag Juhlin and Phil Angotti performing as a duo for the first time tonight at the Montrose Saloon. They’re both both veterans of the Chicago music scene—Angotti with The Idea and as a solo act; Juhlin with The Slugs, Poi Dog Pondering, EXPO ’76, and Sunshine Boys. They’ll be will be covering The Who, and it’s a safe bet they’ll offer deep tracks and vintage gems rather than only hits like “Won’t Get Fooled Again” or “Pinball Wizard.” Also on the bill are The Real Pretenders, who be performing songs by The Pretenders. You can spend more for a opportunity to pitch your project to a literary agent, or get a critique of your first 10 pages from an editor or writing teacher. 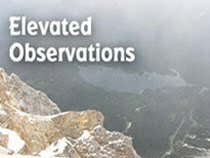 I went last year, and found it rewarding enough to merit making it an annual trek. For the 2018 event, I’ll be pitching my YA/Paranormal/Romance/Rock & Roll novel to two different agents. Wish me luck. Photo from The Posies Facebook page. 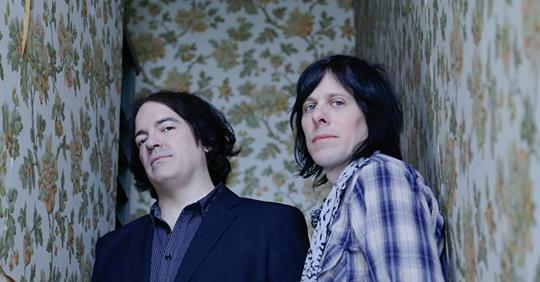 It’s hard to imagine a better place for Chicago area power pop fans to be this Saturday night than at Park West for a double bill of The Posies and Material Reissue. The Posies, in the midst of their 30th Anniversary Tour, will be drawing from a wealth of albums, including Dear 23, Frosting On The Beater, and Blood/Candy. The set list is sure to include irresistible gems like “I May Hate You Sometimes,” “Suddenly Mary,” “Dream All Day,” and “So Caroline.” Singer-guitarist Jon Auer and singer-guitarist Ken Stringfellow have been the band’s nucleus for all these years, and their harmonies remain impeccable. Material Reissue includes Material Issue founding members bassist-vocalist Ted Ansani and drummer Mike Zelenko, along with singer-guitarist Phil Angotti, who was a good friend of the late Jim Ellison. The new formation came together for an International Pop Overthrow - Chicago gig a few years back that packed the house at The Abbey Pub. They still perform occasionally on the local club scene, and opened for Matthew Sweet at Park West a few years ago. 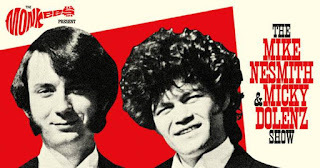 Original tunes like “Valerie Loves Me,” “Diane,” and “Renee Remains The Same,” along with their cover of The Green Pajamas’ “Kim The Waitress” still pack a melodic whallop. Singer-guitarist Terra Lightfoot is also on the bill, and will be playing songs from her recently released album New Mistakes. The music starts at 8:00. WNUR air personality Kirk Fox has been hosting live showcases based on his Power Pop Shoppe radio program at area venues for a while now, and he has another gem coming up tomorrow (Friday, June 15) night. This one’s a 1970s Night of cover versions with a definite power pop flavor at The Sandlot Wrigley. It features one of Chicago’s masters of tributes, Phil Angotti, along with the Lovepunch band, with special guest Mark Watson. Angotti has quickly become a Power Pop Shoppe showcase veteran, having played his own material in the past. He’s also done tributes to Simon And Garfunkel, The Bee Gees, The Zombies, and Squeeze at various venues. Tomorrow night, Angotti will be performing songs by Elvis Costello, Tom Petty, Badfinger, and Cheap Trick. Lovepunch plans on serving up music originally done by Blondie and The Knack. The show starts at 8:00 p.m. The Sandlot Wrigley is located at 3477 N. Clark St. Here they come, walking down Lawrence Avenue. The Monkees Present The Mike Nesmith And Micky Dolenz Show comes to the Copernicus Center in Chicago’s Jefferson Park neighborhood this Thursday night. Hits songs will begin flowing at 7:30 p.m.
Monty Python’s Spamalot will open at Mercury Theater in Chicago on this Thursday, June 14 and run throughAugust 5. CHIRP Radio 107.1 FM is helping present Urgh! A Music War at the Music Box this Saturday, July 16 at 7:00 p.m. 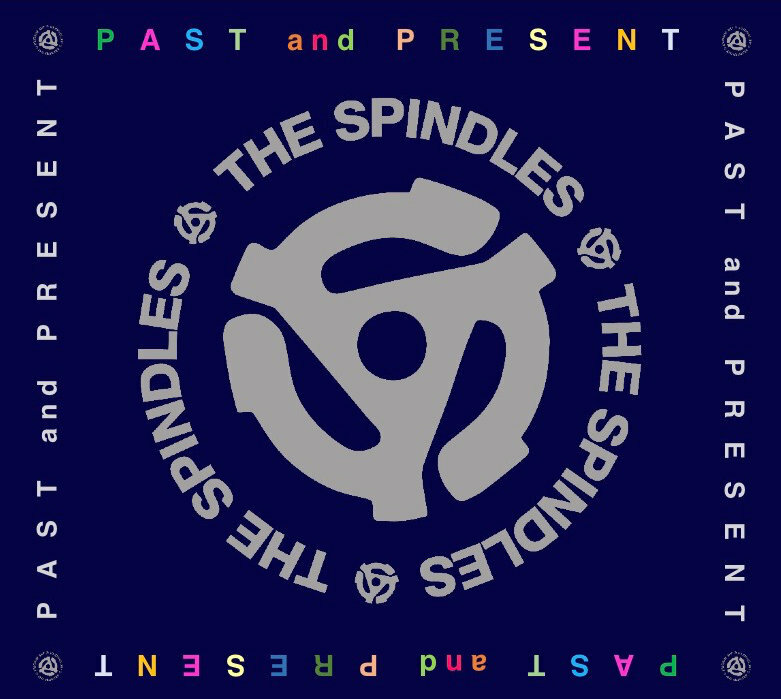 The 1981 documentary features performances from The Go-Go’s, X, Echo And The Bunnymen, UB40, Devo, 999, Gary Numan, Devo, Orchestral Maneuvers in the Dark, and several other punk and new wave bands. Admission is $10. Arthur Buck (Peter Buck and Joseph Arthur); Buddy Guy; Johnny Marr; and The English Beat have new albums coming out this Friday, June 15th. Cracker is what the world needs now and they’ll be bringing their catchy Americana rock to The Old Town School Of Folk Music this Sunday night. Gomez will stage a 20 Year Celebration Of Bring It On in a WXRT show at The Vic this Friday, June 15, and Saturday, June 16. The radio station has been giving away tickets to callers this week. A Day In The Country returns to The Hideout, one of Chicago’s more eclectic and critically acclaimed venues, on Sunday, June 24 from 2:00 to 11:00 p.m. Scheduled acts include headliner The Cactus Blossoms, along with Three Blue Teardrops, Golden Horse Ranch Band, The Saluda Moonlighters, The Lawrence Peters Outfit, and Al Scorch’s Country Soul Ensemble. There will be a barbecue by Honky Tonk BBQ and homemade pie by Bang! Bang! The Hideout is located at 1354 W. Wabansia on the north side. Past And Present lives up to its name with an entertaining mix of new original material and a few well-chosen cover versions of vintage songs. 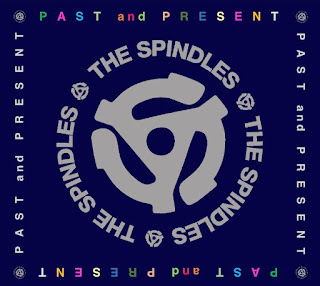 The Spindles specialize in power pop and have been a participant at International Pop Overthrow – Chicago for a number of years. Vocalist-guitarist Jeff Janulis is also a founding member (with Michael Steven Cohen) of another IPO – Chicago standout The Abbeys. Janulis wrote all of the new stuff here, and while he knows how to craft the standard love and heartache songs, he’s also able to put more sensitive subject matter to catchy arrangements. “I Want My Baby Back” shows us a guy at the funeral of a wife or girlfriend, wondering what he could have done to prevent her suicide. “Almost The Same” is from a parent’s point of view and concerns a son or daughter who’s run off in search of fame and trouble. Chicago-based singer-songwriter Jared Rabin has a gig at 10:00 p.m. tonight at SPACE in Evanston to mark the release of his new Wondering About The Weather seven-song EP. 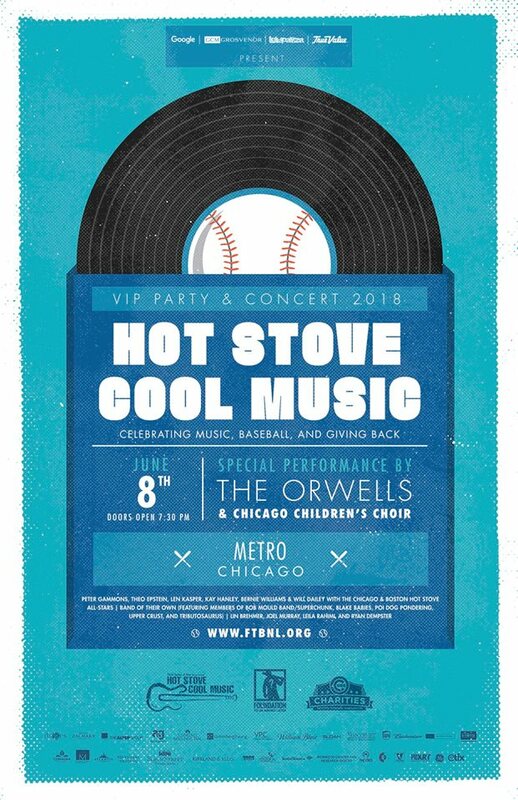 Tickets are now available for the baseball-themed rock and roll charity event Hot Stove Cool Music at Metro next Friday night, June 8. 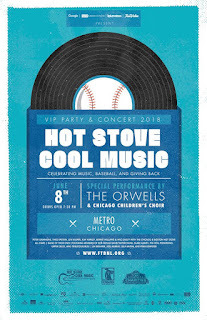 WXRT air personality Lin Brehmer and Mad Men cast member Joel Murray will host, with performances by Chicago Cubs President Of Operations Theo Epstein, Len Kasper and the Chicago Hot Stove All-Stars; legendary baseball writer Peter Gammons and the Boston Hot Stove All-Stars; and Chicago-based buzz band The Orwells. Proceeds will support Cubs charities and Epstein’s Foundation To Be Named Later. Ted Leo and The Pharmacists, La Luz, and Deerhoof will be among the acts playing at Do Division street fest in West Town this weekend. The Chicago Alternative Comics Expo (CAKE) will be held tomorrow and Sunday at The Center on Halsted (3656 N. Halsted). Admission is free. The Alan Parsons Project is bringing its Eye In The Sky 35th Anniversary Tour to the Copernicus Center (a short walk from the Jefferson Park Blue Line stop) this coming Tuesday, June 5. The Amazing Hebby Jeebies will be performing their rockabilly/garage music at 3:00 p.m. next Saturday as part of Ribfest Chicago. Ra Ra Riot, The Weeks, and Waco Brothers are also among the scheduled acts. Suggested donation is $10, which will benefit school, youth sports, and social services. Ribfest is located at the intersection of Lincoln Avenue, Irving Park, and Damen. And that’s just part of the fun going on next weekend when Chicago will transform into an outdoor festival wonderland. The Chicago Blues Festival, Old Town Art Fair, Wells Street Art Fair, 57th Street Art Fair, Midsommarfest, Spring Awakening Music Festival, and Printers Row Lit Fest are all taking place. The UK independent label Mega Dodo has a limited-edition blue vinyl LP of live Traffic music titled First Exit coming out this month. The album features Steve Winwood, Dave Mason, Jim Capaldi, and Chris Wood performing “Smiling Phases,” Paper Sun,” “Dear Mr. Fantasy,” and four other songs for a 1967 radio broadcast in Stockholm. Mega Dodo will also release Shipless Ocean, the latest effort from current psyche duo Us and Them as a limited-edition 180 gram aquamarine vinyl LP. The Vinyl Merchant’s next Record Pop-Up takes place on June 10 On The Patio At Peckish Pig in Evanston. Attendees will be able to buy, sell, or trade seven-inch and LP records. There is no cover for the all ages show, and DJs will provide music. Peckish Pig is located at 623 Howard Street. Cheap Trick will share a double bill with Poison next Saturday, June 9 at the Hollywood Casino Amphitheatre in Tinley Park. Urgh! A Music War, the 1981 documentary that features performances from The Go-Go’s, X, Echo And The Bunnymen, UB40, Devo, 999, Gary Numan, Devo, Orchestral Maneuvers in the Dark, and several other punk and new wave bands, will be screened at the Music Box on July 16. Admission is $10. According to the June issue of the Illinois Entertainer (available free in record stores and music venues around Chicago), Mazzy Star; Neko Case; Pete Yorn and Scarlet Johansson; and Roger Dalty released new albums today. And we can expect new albums later this month from Lily Allen on the 8th, Arthur Buck (Peter Buck and Joseph Arthur); Buddy Guy; Johnny Marr; and The English Beat on the 15th, and Florence + The Machine and Ray Davies on the 29th. Congratulations to Julia Louis-Dreyfus on being chosen as the recipient of the Kennedy Center’s 2018 Mark Twain Prize for American Humor. Dreyfus, whose impressive TV resume includes Saturday Night Live, Seinfeld, The New Adventures Of Old Christine, and Veep, first started her comedic career in Chicago. She and husband Brad Hall were members of the Practical Theatre Company. And congratulations to blues vocalist-guitarist Buddy Guy. He’ll receive a lifetime achievemnt award from the American Music Association on September 12 at the Ryman Auditorium in Nashville, TN. Monty Python’s Spamalot will open at Mercury Theater in Chicago on June 14 and run throughAugust 5.